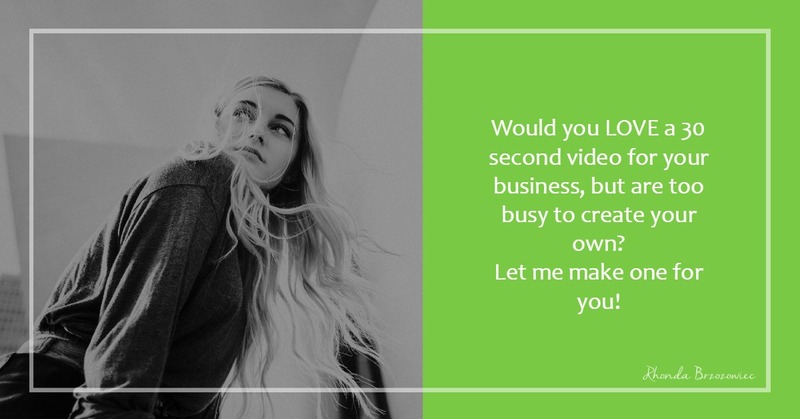 Let's make a video for YOUR business! Special Offer! Get a short 30 second video to advertise your business. After you pay, contact me at 716-553-8347, or hello@RhondaBrzozowiec.com so we can get your information. Most videos done within one day!